FIANNA FÁIL’S DISASTEROUS election also saw the end of a number of political dynasties that had dominated the Dáil much in the same way the party had almost since its foundation. The 31st Dáíl will have no Haughey or Lemass both of whom had a family member who was Taoiseach. Charlie Haughey’s son Sean lost his seat in Dublin North Central. The former junior minister had been a TD since 1992. The son of the late Taoiseach and grandson of Seán Lemass. His uncle Noel Lemass junior and aunt Eileen Lemass were also Dáil members in the 1970s. The Lenihan family also took a big hit with only Brian, the outgoing Finance Minister, managing to be elected in Dublin West on the fifth count. His brother Conor lost his seat in Dublin South West as Fianna Fáil were wiped out across Dublin. Their aunt Mary O’Rourke was eliminated in Longford-Westmeath as she retires to write a book and spend time with her grandchildren. 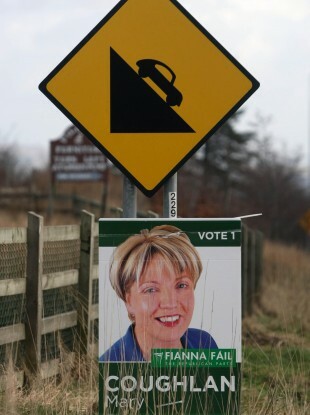 In Dún Laoghaire outgoing Tourism Minister Mary Hanafin lost her seat. The daughter of former Senator Des Hanafin, her brother John is a member of the outgoing Seanad. Also in Dún Laoghaire, Children’s Minister Barry Andrews lost his seat with cousin Chris Andrews failing to hold his in Dublin South East. Tánaiste Mary Coughlan lost the seat in Donegal South West that her family had held for 31 years between her uncle Clement and her father Cathal before her. The McEllistrim family had an even bigger hold on a seat in Kerry, with three generations – all called Tom – holding a seat in the county since 1926 until the youngest Tom lost his seat in Kerry North-West Limerick at the weekend. Ironically, one of the only Fianna Fáil families to do well in this election are the Cowens with Brian Cowen’s brother Barry set to hold the party’s seat in Laois-Offaly. Email “Fianna Fáil wipe out marks the end of political dynasties ”. Feedback on “Fianna Fáil wipe out marks the end of political dynasties ”.